We have been really busy lately. We have reached agreements with Rooco and we have been working together on some stackable Raspberry Hats. We are glad to announce 3 hats. We have named them as 3 of the most famous solo sailors of the modern age. This hat contains the basic items to turn your raspberry into a complete navigation system. 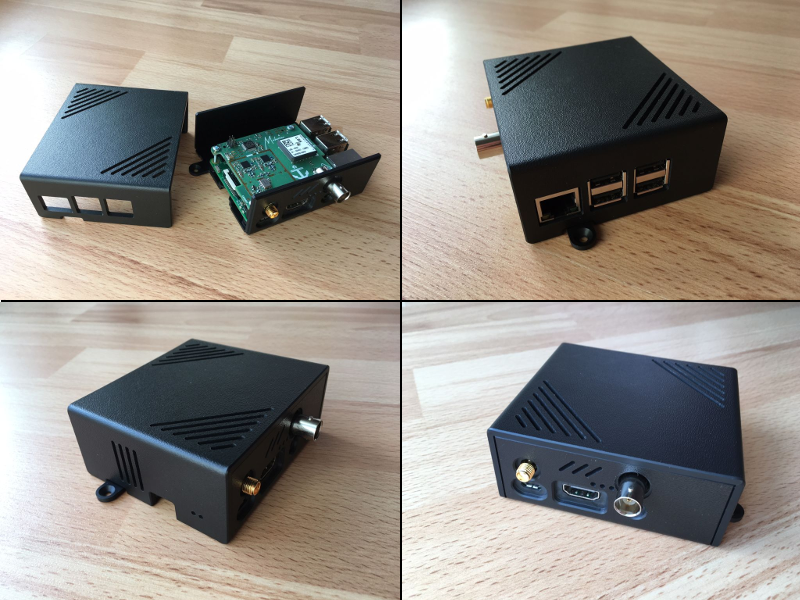 Standalone usage or in combination with Raspberry Pi (). Sensors are directly accessible via Raspberry Pi. Standalone usage requires 3.3V power supply and sensors are controlled by the HAT’s microcontroller. Fully compatible with Raspberry Pi models supporting 40-pin IO header. Data communication via SPI (AIS, GNSS and meta data) and via I2C (sensor data).Data accessible via device driver and device file. Full OpenPlotter compatible. Plug and play. This hat provides a way to protect your SD card from corruption and allow you turn on and off your system. Uninterruptible Power Supply (UPS). Shutdown safely when the main power supply fails. This hat makes easy and safe connecting all type of analog and digital sensors. Protected screw connectors for GPIO. That's fantastic, the world of nav computing on boats just changed! Amazing! I'm really looking forward to these hats! And will this ship with software config instructions? Great news!!! Hope I can remember the hat names - giving credit to co-developers is a noble gesture. Please think also about a case for the rpi including these hats. ref the McArthur hat consider something similar to the StromPi2 with the option to hook up Capacitors or LiPo cells for the UPS functionality. Bridging a few hours should be enough and then a warm standby (reduce to minimal functions and switch off the rest). Maybe you could also manage to embed a USBdrive to reduce the dependency on the SD card. By that lots of the shutdown issues are already minimized. When do you think they might be available? And what chip do you use to receive AIS? (11-20-2017, 08:45 PM)vapochilled Wrote: Moitessier, price? Yes, there will be complete config instructions and support on this forum. (11-21-2017, 12:44 AM)SkipperEarly Wrote: Great news!!! Hope I can remember the hat names - giving credit to co-developers is a noble gesture. Enclosures will be the last step. We are discussing the UPS hat right now. Capacitors option is wining but LiPo is not discharged yet. (11-21-2017, 06:20 AM)PaddyB Wrote: When do you think they might be available? The used chip is a narrow band receiver from ON Semiconductor (AX series) and definitely better than RTL-SDR chips. will it need to be mounted in flat face up orientation for the accelerometer and magnetometer sensors to work, calibrate ? ?